This Circle of Light is a marvelous work of design. It combines elements of order and chaos! The light bulbs are orderly lined around the circular base, but the cords they hang from are a tangle of chaos. The fixture combines formality with informality all at once. It is a lovely piece if hung over a round table, preferably glass so it can be reflected in it! 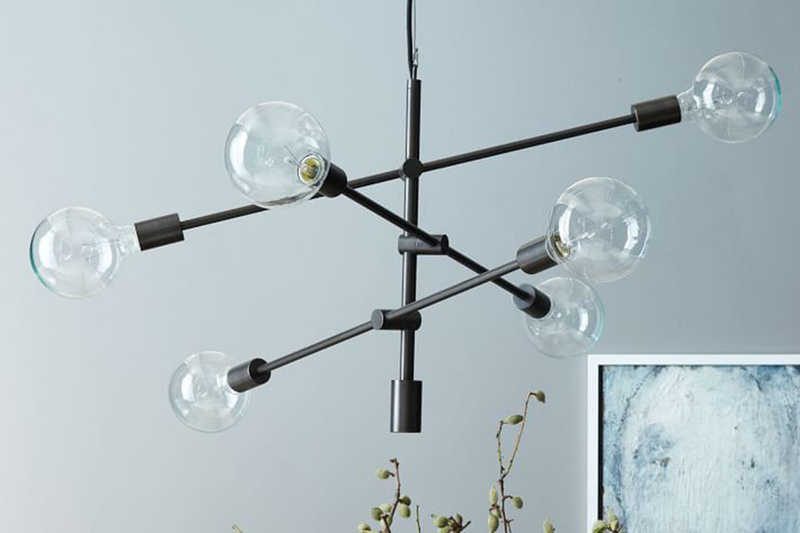 It can illuminate any room brilliantly with 12 bulbs and has a good price of $299 at CB2. 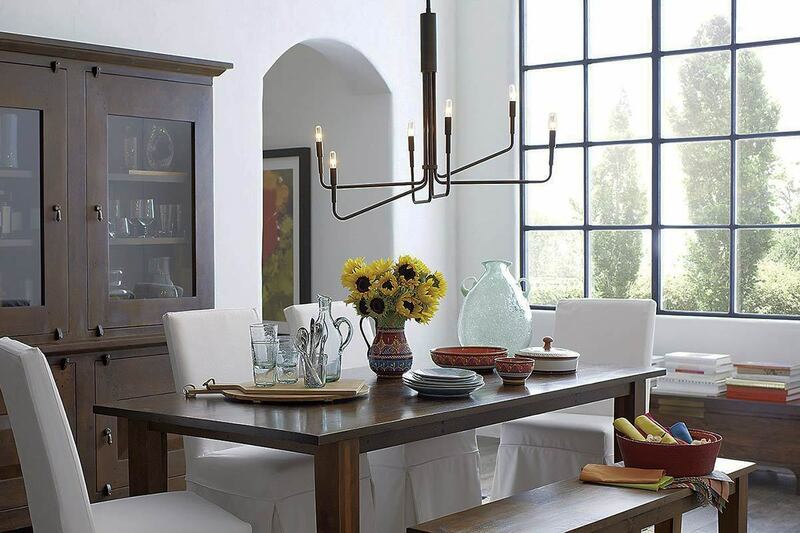 This 6-light rectangular pendant is symmetrical in design and is suited to a long rectangular dining table. With its informal cloth-wrapped cord, it is ideal over a rough-hewn farm table in the kitchen. It can also be hung in a long, high-ceilinged hallway. It’s priced well for $299 at West Elm. This bulbous 3-light pendant fixture really works as a chandelier as well. Pendant light fixtures typically take up less space than a chandelier but this one falls somewhere in between. It is casual and voluptuous at the same time! Ideal for a cozy corner or in the kitchen nook. It is specially suited to beach homes as it is reminiscent of buoys. 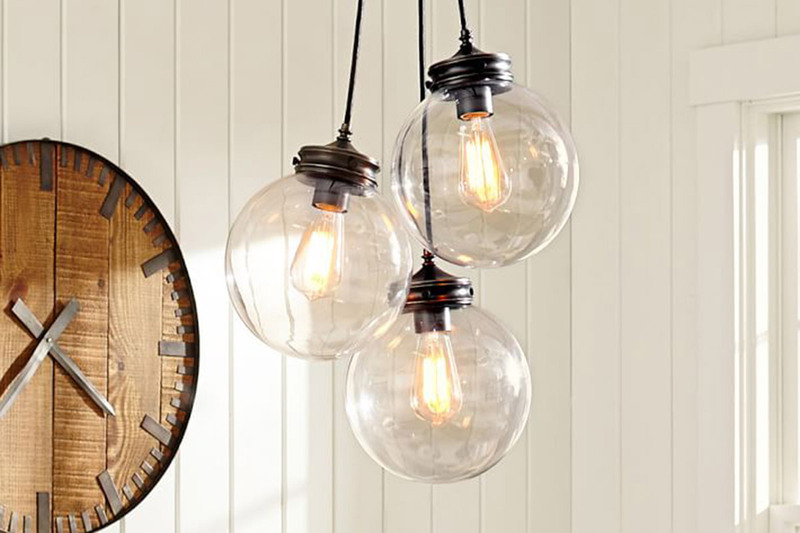 This one is also affordable for $299 at Pottery Barn and you save money on Edison bulbs as it only requires 3! Pottery Barn also has a number of industrial style mirrors that one can pair with this light to really expand your visual space. 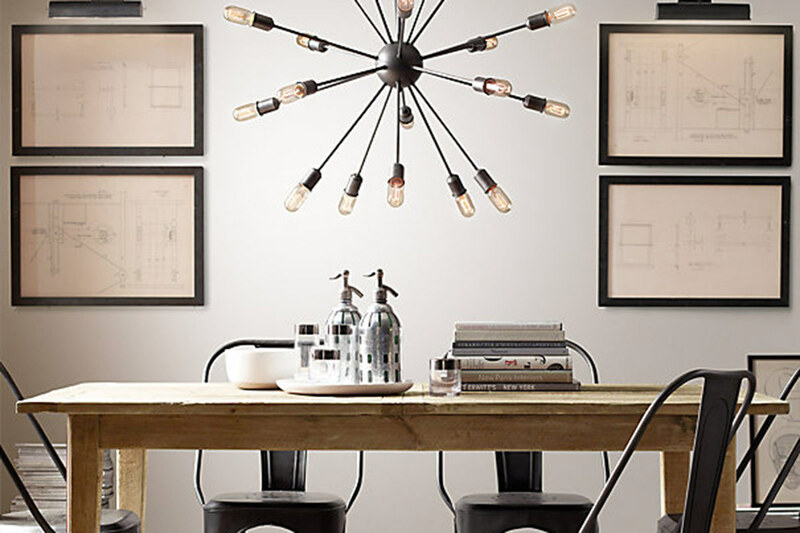 This modular chandelier from West Elm is great for a big open space. Its far reaching arms makes sure those 6 beautiful light bulbs get their light to every corner of the room. The body of the chandelier is finished in a dark (almost black) antique bronze. 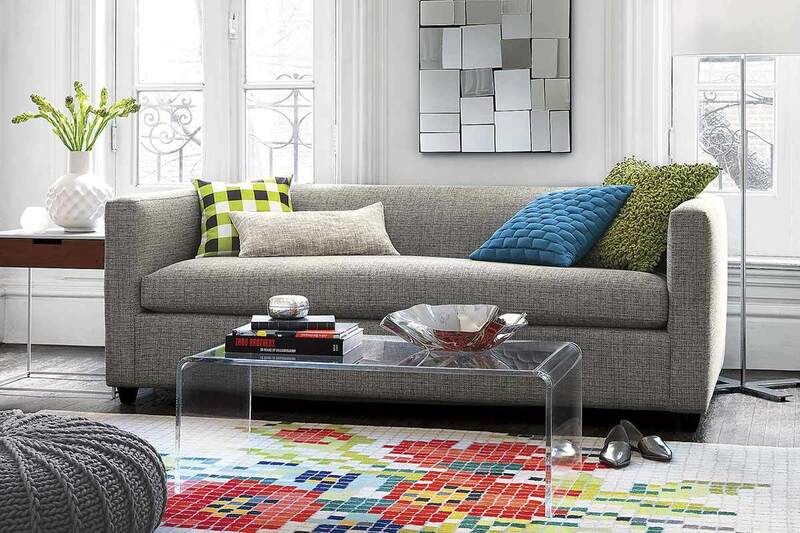 This piece can be picked up from West Elm for $249. This Blake Tovin-designed fixture with its 6 lights illuminating a room at varying hights has a medieval feel, while industrial-looking at the same time. The solid rod it hangs from comes with extension allowing for different room heights, too. 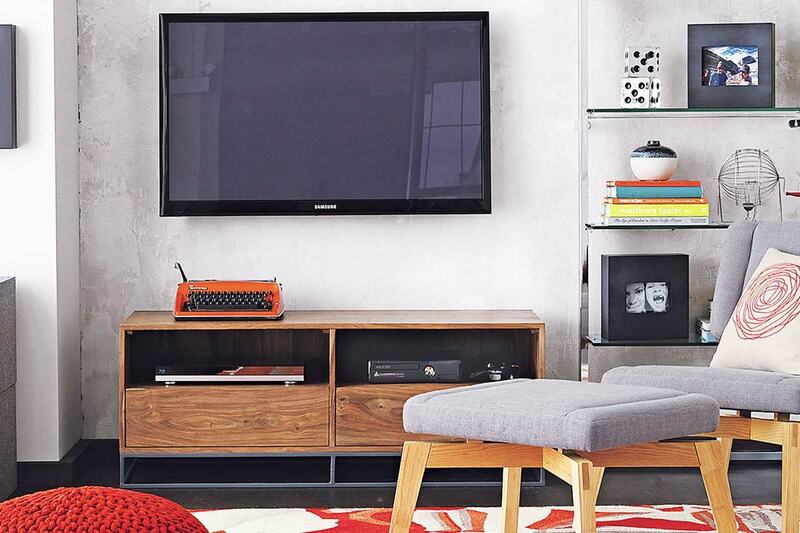 It is slightly more pricey at $379 from Crate & Barell but has a more formal look than the West Elm model. This model is for the fatter wallet, but it is a sturdy steel-based fixture and includes 12 vintage tube filament bulbs. Since Edison bulbs are rather expensive, this is reflected in the price of $850 from Restoration Hardware. The Sputnik is inspired by the space race of the mid-century; it is a good addition to a room with an austere, even space-ship vibe! It is a wonderful addition over an industrial rough metal table. Smaller models of this pendant would give an ethereal charm to a powder room. 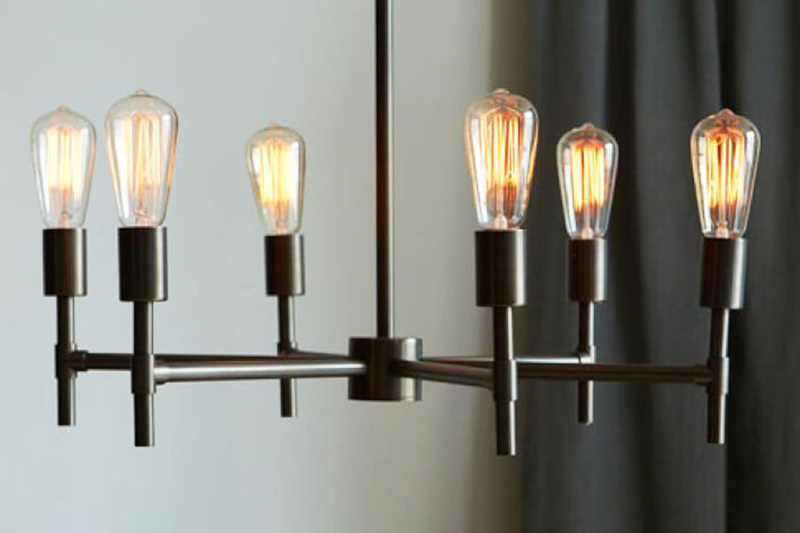 Shades of Light has produced the archetypal industrial chandelier with this piece. Any loft apartment or exposed brick wall adorned with this lighting will surely be the envy of all your friends. 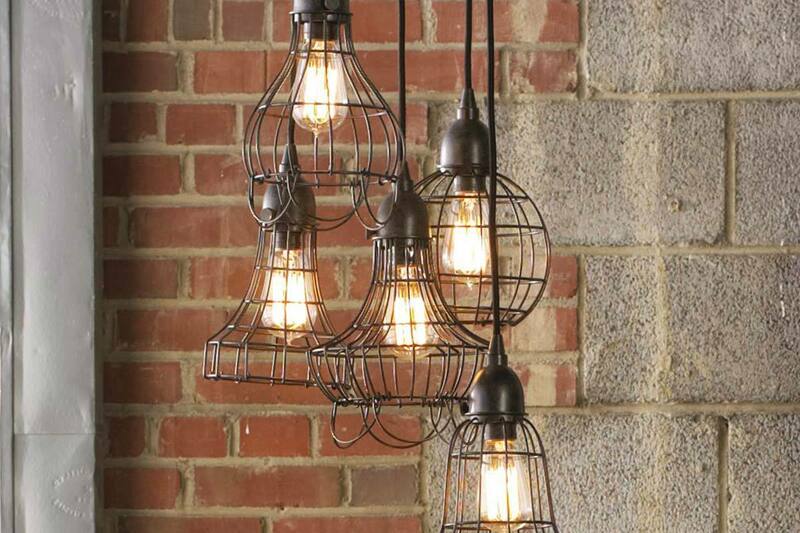 The 5 lights are caged in antiqued iron of varying shapes and sizes. This can be ordered from Shades of Light for $489. This collection of pendants also would work very well over a workspace or industrial style desk. 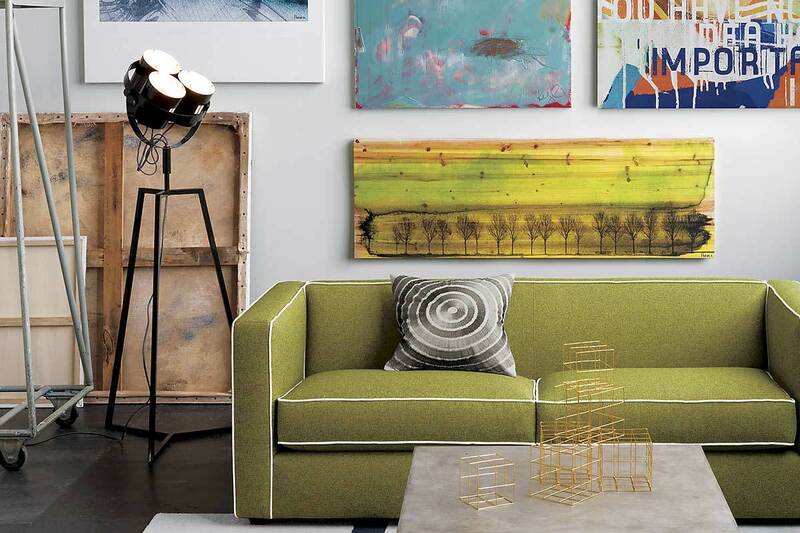 This very classic but industrial design from West Elm is easy on the eyes and will fit in any home. 6 lights will provide ample light for most apartments and you can even afford to make them low wattage bulbs (which makes for beautifully exposed filaments!). 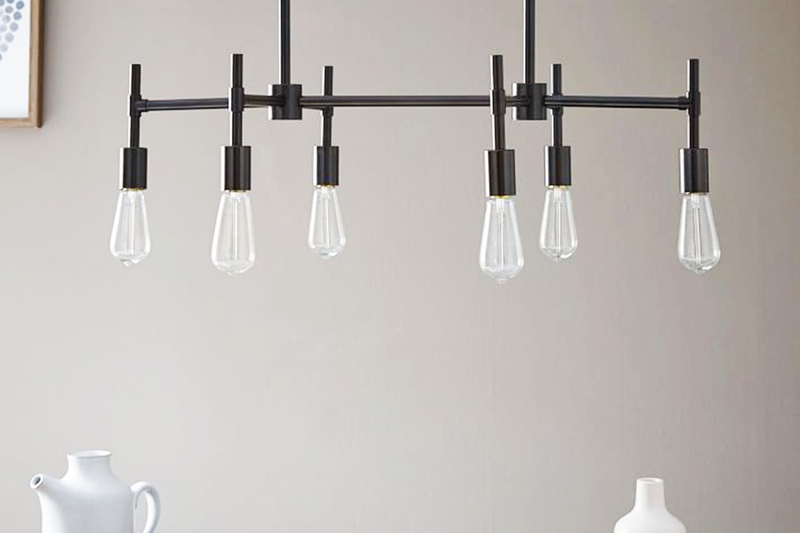 A little bit cheaper than its rectangular brother seen above the Industrial Chandelier can be picked up for $249 from West Elm.